CamFi has launched the CamFi Pro, a souped-up version of its wireless remote controller that can allegedly transfer your photos at a rate of up to 10Mbps between the camera and a secondary device such as a laptop or smartphone. This, according to CamFi, will make the Pro "the fastest wireless camera controller in the world." The new device uses 5.8GHz communications to move data more quickly than usual, making it possible to stream video in addition to sending larger files and sequences far more quickly. 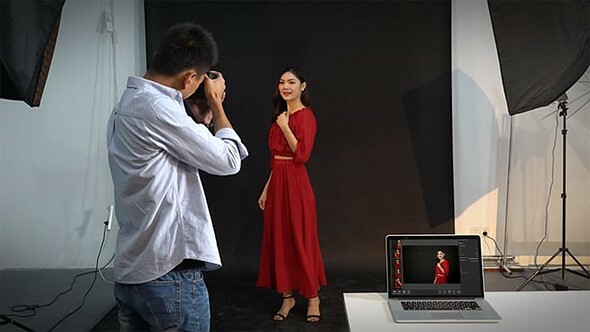 The idea is that users can transfer images directly to a computer or tablet as they are shot without tethering or relying on the slow transfer rates of most cameras' built-in Wi-Fi systems. The CamFi Pro will work with a range of Nikon, Canon and Sony cameras, and will allow users the choice to transmit Raw and JPEG files simultaneously, or send one type over Wi-Fi and save the other to the camera’s memory card. Additional features include the ability to control the settings of a single camera while simultaneously triggering multiple cameras in sequence to create ‘time slice’ effects; support for HDR image capture (read: bracketing), focus stacking, and timelapse videos; and an Auto Print mode that lets the photographer send files straight to a printer via the CamFi Matrix software—ideal for providing high-quality prints on the fly while shooting events. The company is raising funding via Indiegogo, and needs $5,000 to make the project viable. Prices start from $200 for backers, after which the cost is expected to raise to $300, so supporters of the campaign get a pretty sizable discount. For more information, check out the video below, visit the CamFi website, or see the CamFi Pro Indiegogo page. GUANGDONG , China – November 30, 2017 – CamFi, maker of wireless controllers for digital cameras, today announced the launch of a crowdfunding campaign on Indiegogo for the fastest wireless camera controller, CamFi Pro. CamFi Pro uses the 802.11ac protocol to transfer the photo from the camera. It can offer Wi-Fi transfer speeds up to 866Mbps. Tests show it can reach speeds of 10M bytes per second in reality, two to three times faster than most built-in Wi-Fi cameras and 2.4G Hz wireless camera controllers. CamFi Pro supports most of Canon, Nikon and Sony cameras. 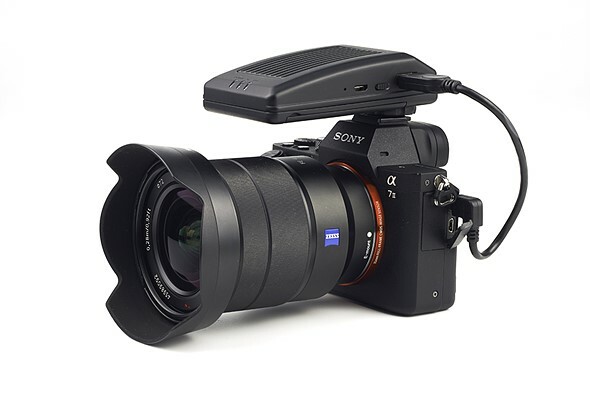 And it will be the only 5.8G wireless tether solution for Sony cameras in current market. CamFi Pro takes two to three seconds to transfer a raw photo with a size of 20 megabytes. It supports auto view mode, which enables the client device to receive the photos in real time when the photographer is taking the photo. Selective transfer is also supported. The photographer can send only JPEGs to the client device and keep the raw photos on SD card. By using 5.8G band, the device effectively avoids Wi-Fi interference. This is suitable for professional photographers covering events and meetings. The live view works smoothly for high transfer speed, making it effective for recording the video as well. CamFi Pro also supports timelapse, HDR, focus stacking and multiple camera control. The photographer can use one computer to control multiple cameras to shoot and transfer the photos back. It can be applied for bullet - time effect and 3D modelling. I though indiegogo is creating something instead of marketing products? Just dont feel right about this one. Wow!! And of course I just paid 700 bucks for the Nikon wifi thing, crap!! Excuse my ignorance, but is there anything else I need for this to work aside from a compatible camera, the CamFi Pro, and a laptop? Does it require an internet connection? Can it transfer to an Android phone? No, it does not require an internet connection. It can transfer to an Android device. No other device is needed. One thing needs to be mentioned, your laptop needs support 5.8G wifi network. Otherwise, you need buy a 5.8G usb wifi adapter which price is about $17. $5K would probably pay for printing the logo on the cases. I wish companies would stop abusing crowd funding platforms. These days it's just marketing (and DPReview fell for it) or gauging interest. We've already launched CamFi for 3 years. It has been used by many photographers. The goal fund maybe a little low. But this product is not our first product. We're sure we can release it. No more kickstarter or indigogo for me. that's a big hamster wheel. 10 MBps not 10Mbps, it's a factor of 8. Also, the press text says "CamFi Pro uses the 802.11ac protocol to transfer the photo from the camera. It can offer Wi-Fi transfer speeds up to 866Mbps." which is true but deceiving. The lower end protocols transfer at that speed. But they go higher, up to 1.3 Gbps. Good catch, I was wondering how anyone would consider 10Mbit to be 'fast'! Wow, when I read the title I thought they would be talking about a Gigabit / sec speeds. This is not any faster that WiFi that lot of cameras have built in. So my Canon 5D MK III is not supported. Wonder why? Thank you. I was basing my mistake on the original lists in the Indiegogo campaign. On your advice, I went the website and with a little bit of searching, there it was. 5000 usd? Really? I could finance that. This is silly. Also 10Mbps in article should be 10MB/s as in press release. I think Panasonic G9 is the only camera with 801.ac support, am I right? Others still use b/g/n modules. Did it also have 801.ac? NX1 is still very good. The Cam Fi itself is AC. It does require a computer with AC to reach those speeds. The Cam Fi is the WiFi hub. So DPR has turned into a site flogging companies that couldn't not raise their own funding for a product? Even at $5000? $5000 price tag is ridiculous. It's not $5k per unit. They want to raise $5k to develop it. Which is ridiculous, who would trust an outfit that can't even risk $5k of their own money to develop something? Seems like they are letting you know it’s there if you want it. They need $5,000? Really? That is going to make or break this project? Hi, current CamFi version sells well in all around the world. So we are not lack of fund. The $5000 maybe a little low for the project. But we will pay the extra cost to bring this product to the world. Then why not just do it? A goal that is roughly the same price of a high end camera is confusing and does not project well for the state of company financing. It will decrease the risk before we jump into the water. It will be a total failure if no one needs it. Look, $5000 is not removing any risk. It is making your company look untrustworthy. This is not a toy, it is a technical item that serious photographers will appreciate. They also understand that shipping a container from Shenzhen to Savannah, GA is going to cost more than $5,000, so it is confusing. You have reached your goal, so good luck. I look forward to trying it out.